IAMBRIGITTE : guess what made my day? guess what made my day? I work at night so basically, i'm uber tired once i get home. Yesterday, my friend who came back from the US called me and asked to meet up so he can give me the "stuff" that i ordered online (para tipid shipping...hehehe) but honestly, i wasn't able to cut shipping costs since this order was not suppose to go through because i was at the point where i need to decide between standard and expedited shipping but both won't give an assurance that it will arrive in his place on time. So after giving my cc info and when i got stuck on the shipping type, i decided not to go thru with it. And to my surprise, i got an email that it did get through and despite the expedited shipping, there was still no assurance that it will arrive before he gets back here. and aside from that, i can't accept the fact that i ended up paying almost $20 for shipping for a $25 item! Well, i was supposed to add more items in my cart but because of the probable delay, i no longer took my chance to purchase more. 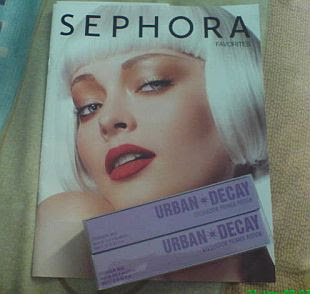 the model's so gorgeous, no? 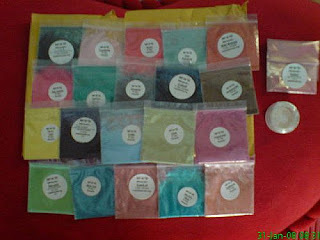 And after almost a month of waiting, when usually it only takes them 2 weeks to arrive...my MAD pigments are now here! 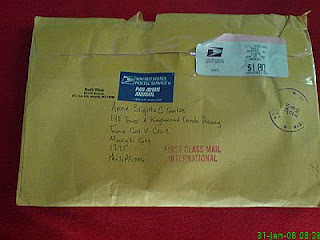 Darn, they sent it thru airmail pala, hence the delay. But the other thing i didn't like was, for the second time, they sent it to my billing address instead of what i had specified on the shipping address. My billing address is here in the city, but i prefer to have it delivered in my provincial address since i've been hearing a lot of post-office issues here. But out of the 4x that i've ordered from them, this is the second time they did this. 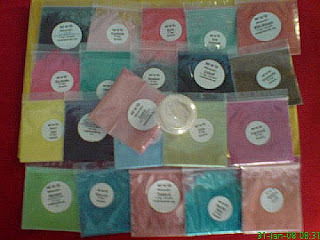 And i even gave them shipping instructions to make sure to send it to the shipping address! 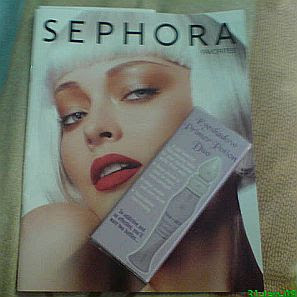 i am one happy schizo today!